I did it. I bought a new grow light. You know that I’ve used a lot of LED grow lights in the past, especially the NextLight Mega, which I’ve written about before. You also know that I’ve written a lot about HID grow lights, even though I do not use them anymore. I used them way back when, though. But now I got a new light that is neither of those. It is a brand-new LED grow light called the Optic 6. When the switch from next like? I didn’t really. I’m still using NextLight Mega and I always will. However, this new company called Optic LED is making LED grow lights that are far far cheaper than anything else on the market, apart from the Chinese made lights that don’t work. These optic LED grow lights use cobs and mix them with 5 W chips to give you the ultimate in penetrating power and spectrum. The cobs are all white lights while the five watt chips have a mix of red blue and white. This gives you a great spectrum and also a ton of power. And they cost very little. I believe I mentioned that, but it’s worth repeating. They are insanely cheap. That’s good for me, because I bought it for basically an experiment. You may remember that I have mentioned growing tea quite a bit in the past, but it was just a theory and something I read. Now, I finally decided to give it a try. I figured why not? But because I’m just giving it a try, I didn’t want to blow a ton of money on a light, but I still wanted to make sure I got the right plant light. I don’t know much about doing it, but that doesn’t really matter. You can learn anything on the Internet today. And a little bit of searching and I found a great article on growing your own tea. I also found several videos. All that combined should be plenty to get me going. It seems that growing tea is not really that hard. It is a fairly easy plant to grow, as long as you provide the right environment. Since I’m growing indoors in a grow tent and with artificial grow lights, I can provide the exact environment my tea plant wants. This means I should have no trouble growing healthy and strong tea bushes. In fact, it is not the growing that worries me. It is processing the tea afterward. I’ve been reading up on it and it seems there are so many different ways to process tea. You can steam it quickly to stop the oxidation process and make green or white tea. You can wait a little longer and have oolong tea. You can wait even longer than that and let it fully oxidize and make black tea. Or you can let it ferment after it is oxidized and make pu-erh tea. Then there is yellow tea, which is somewhere in the middle. I don’t even know exactly how it fits into the whole thing. The point is, there are a lot of different ways to process tea and how you process it has an effect on the type of tea you get. They all have slightly different flavors and I don’t really know that much about it yet. But I’ve been reading up on it and I believe I will be able to make a pretty good batch of tea my first try. And from there it will only improve and get better each time. Perhaps, someday I’ll even be able to sell my tea online. I’ve written a lot of posts about growing indoors using artificial plant grow lights. These lights give off various wavelengths that plants need to grow. Some of them approximate the sun, while others remove all the wavelengths that the sun has that plants don’t actually need and only give the plants exactly what they want. Which of these is better depends on whom you ask. One thing is certain though: whichever one of these types you choose, there are thousands of options out there for you. Today I’m going to try to help you narrow those options down until you’re left with one light. The grow light that your plants need. The first thing you need to know is that there are three different types of grow lights. There are florescent grow lights, HID grow lights and LED grow lights. In actuality, there are others, but these are the only three we need to consider today. Florescent grow lights are great if you’ve got a small garden or if you’re only supplementing natural sunlight or some other form of artificial lighting. 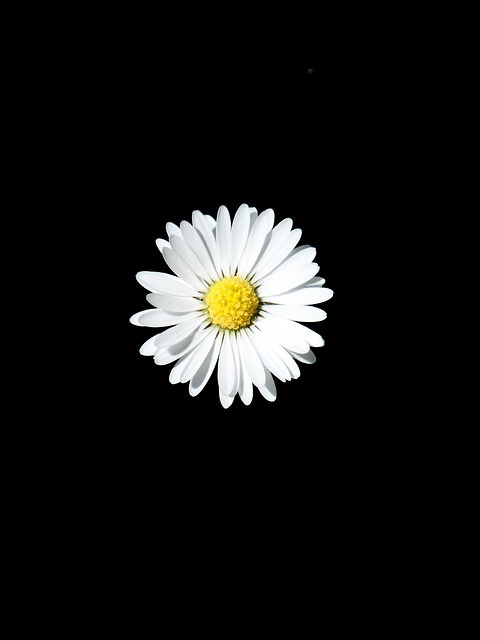 But on their own, they are not as efficient as the other types and are not usually powerful enough to do any flowering. HID grow lights (HID stands for High Intensity Discharge) are still the most popular and have been for a long time. These lights are incredibly powerful. There are metal halide bulbs, that have more of a bluish spectrum and are used for growing and high-pressure sodium grow bulbs, with a reddish spectrum that is ideal for flowering. These lights are incredibly efficient and incredibly powerful. They will grow and flower anything. The main drawback is that they produce a lot of heat and that they use a lot of electricity. Yield Lab are a good brand for HID lighting. That is were LED lights come in. LED plant lights are much newer than the other two, but they promise to be the future of indoor gardening. There are two main types: those that use white LEDs, which are similar to an HID spectrum and to the sun and those that use mostly red and blue diodes. The latter are more efficint, because they do not give off much, if any, green and yellow light. Plants don’t use this light and it goes to waste. That is fine for the sun, a limitless supply of light, but makes no sense in an artificial grow light, where you are paying for every bit of light emitted. The biggest problem with LED horticultural lights is the initial cost. Well actually, the biggest problem is that there are so many of them. There’s a huge selection but only a small percentage of that selection is any good. Tons of manufacturers from China have flooded the market with really cheap (and, to be frank, really crappy) LED grow lights. The tricky part is wading through all the bad lights to find the ones are actually good. Of course you can buy the really expensive ones, but there are actually some pretty decently priced LED lights that are also great. Finding them is not easy though. The best thing to do is to find a quality site that reviews some of these lights. The problem there is that most of the review sites are no good. They’re written by someone who has never actually used grow lights in their life and is just trying to make some money in commissions. One site that is great for LED grow light reviews and for information is http://growlightinfo.com. This site has a ton of informative reviews and a table that compares some of the better grow lights on the market. It doesn’t focus on the extremely expensive ones, but rather on the slightly lower priced ones that are better for us home growers. It helps you find the real gems among the lower priced LED fixtures. There aren’t many of those gems, but they are out there and that site will help you find them. I recently took a trip overseas and witnessed one of the coolest use of houseplants I’ve ever seen. Generally, when you think of houseplants, you think of a few pots full of plants growing indoors. And technically, that’s what I saw here, too. But it was so much more. 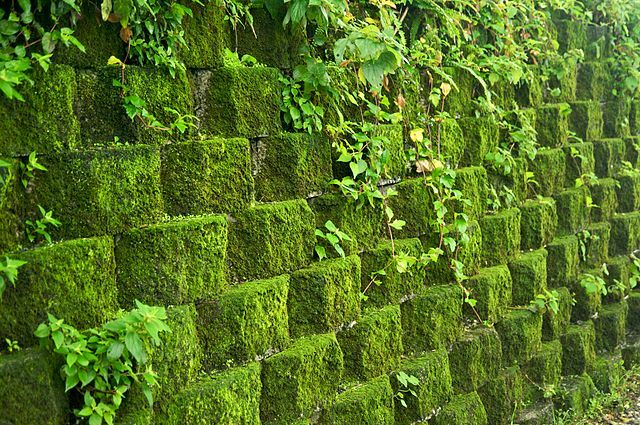 They converted every single wall in this house into a living wall. They were basically completely green and completely overgrown with plans. All the floors were grass. They were a type of grass that was extremely comfortable to walk on and is basically better than any carpet. Some rooms didn’t have grass. Instead, they had much larger growths. They were basically jungle rooms and were really cool. Other rooms had moss floors. I loved these! I’ve never seen anything like it and was completely blown away. It’s basically like living in nature, except you’re still indoors. This means that the elements are much more controlled than they would be if you were living outside. You don’t face a lot of the dangers you would outside. That said, you do face some of the same pests. As you can imagine a house like this attracts a lot of insects. If you lived outdoors, you’d be dealing with them anyways. They don’t bother some people and they don’t bother the owners of this house. I don’t think they would bother me too much either. But that just depends on each individual. In order to keep a house like this, you do need to regulate the environment somewhat. Naturally, you have to get a lot of water in there, so you need some kind of irrigation and outflow system. You also need to provide lighting. Providing indoor grow lights for this many plants is not cheap. Buying them is expensive and running them is even more expensive. Standard HID grow lights would also increase the heat way too much. You want this house to be warmer than normal and naturally it will be, but you don’t want to use HID lights as you would have to ventilate it too much. The best solution are LED grow lights. That’s what these people were using. 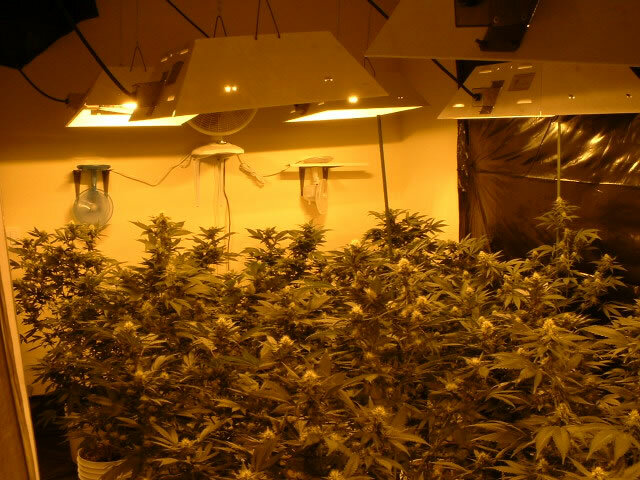 They were using full-spectrum white LED grow lights made by NextLight, one of the most reputable companies out there. Specifically they were using the NextLight Mega LED fixture. They had a couple of these on the ceiling of each room and they lit up the rooms beautifully. It was basically like having bright sunlight in every room. That’s the reason for using white LEDs. If you’re living beneath the lights every day, you don’t want the standard pinkish LED light. It would just be too strange to see that everyday. It also wouldn’t be good for your vision. These MEGAs basically provide the same light as the sun. They are a lot more powerful than the sun, taking distance into account of course, so you don’t want to look directly at them. But if you put them up on the ceiling, they are far enough away that you can comfortably live beneath them. They basically end up being the same strength as sunlight, which is perfect for these clients. Another good solution is a light like the Optic 6 which I would get later (yes, I came back and updated this post! ), because it combines white light and the colored diodes, giving you the best of both worlds. These people also had a lot of animals in this house. Not real jungle animals, obviously, but animals you generally see in a house and then a few additions. They had dogs and cats, who completely loved living there. They also had a monkey or two and a couple of more exotic animals that were also right at home in this environment. In a way, it was kind of like going to the zoo. It was just really cool to be hanging around in this house among all the plants and animals. If you would like to replicate this in your own house, I’d first advise you not to do it. It will be a lot of work, cost a lot of money, and you’d probably get tired of it pretty quick. I loved visiting this, but I don’t think I would love living there. I certainly wouldn’t love having to take care of it all. That said, if you still want to do it, you basically just need to plant a whole bunch of plants everywhere, you need to get the lights and you need to figure out a system for the watering. This can all get pretty complicated. If you are really interested, drop us a line and we will put you in touch with the owners, so you can try to replicate it yourself. One of the questions I get asked all the time is: what exactly is hydroponic gardening? What makes it different from regular gardening? Well, let’s see. Basically, hydroponic gardening uses more water. The word Hydro is Greek for water. That’s where the name comes from. What does that mean? It uses more water? Yes. In normal gardening, the plants are put in soil and watered from above. The water seeps into the soil and the plants drink it with their roots. Depending on the plant you water every day or every few days. You want the soil to always be moist so the plants can get the water they need. If you need nutrients, you can put them in the water but it generally doesn’t happen. The plant growth depends on the soil and any diseases that are in the soil can affect the plant. With hydroponic gardening, the plants are not put in soil, they are put in some kind of growth medium. Then you run water through that medium continuously. You put nutrients in the water and the plants seep up that water. They get a lot more water and they grow a bit faster and it works really well. It is also much easier to manage. So basically, the plants sit in water all the time and that water contains mineral nutrient solutions. Those nutrients can come from fish waste, duck manure or just normal nutrients. Your two main techniques are: sub irrigation and top irrigation. You can guess from the name what they are. There’s another distinguisher between a continuous flow solution and a static solution. In a static solution, the plants sit in containers containing the nutrient solution. If it is un-aerated, the solution is kept very low so that the roots are above and can get enough oxygen. If it is aerated, air is pumped into the water. In a continuous flow solution, the nutrient solution constantly flows past the roots. It is easier to keep control this way because the same solution goes to all the plants and you can control it from one centralized area like a large tank. You don’t have to control each smaller tank separately. Another variation is something called aeroponics. In this system roots are continuously saturated with a mist of nutrient solution. With this method you don’t need a substrate and the plants grow with their roots suspended in a growth chamber and are just occasionally wetted with the mist. The main advantage of aeroponics is the fact that the plants are aerated better than with hydroponics. 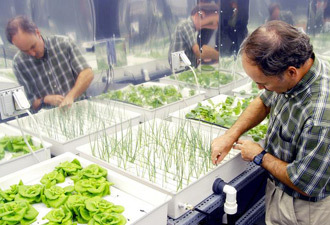 Another advantage is that any type of plant species can be grown using aeroponics. Then there is fogoponics, which is just an advancement of aeroponics. It uses water in a vaporized form and the main difference is in the size of the misted droplets. Since these are indoor systems you will of course need hydroponic lighting but that is a matter for a different article and as I’m sure you’ve noticed, we have a lot of those on this site. If you’re interested in making your own aeroponics system at home, try this guide. If you just want someone else to set it up for you, Aerofarms has you covered. If you want to grow your own food indoors, you need the proper equipment. And the most expensive piece of equipment you’ll need is a grow light. Perhaps several grow lights. Now, they don’t have to cost too much. If you decide to go with florescent grow lights, you won’t spend all that much money, but this is only an option for very small gardens. For larger gardens you will need a combination of HPS bulb and MH grow light or you will need an LED grow light system. Both of these will cost you much more. The HID system is cheaper upfront, but it costs a ton of money to run, since it guzzles electricity and gives off ridiculous amounts of heat. LED lights are much more expensive up front, but they run much cooler and use much less electricity, saving you in the long run. They are also easier to operate. There are millions of options when it comes to grow lights. So many companies sell them and it seems like there are new ones each day. Most of them are located in China, obviously. I would not buy lights from a company that is headquartered in China. All companies source their products in China, but the ones that only have offices there are the ones you want to stay away from. Their quality control is almost always terrible. This is true for every kind of grow light, fluorescent, HID, LED whatever. One company that is famous for sourcing from China, but that has its headquarters in the US, is Yield Lab. This is one of our favorite companies. Because they get their lights from China, they are incredibly cheap. The quality is better than most Chinese lights, though. They do some form of quality control, although it is nowhere near as good as you would prefer and nowhere near as good as other companies that source from China, like kind LED, for example. So what this means is that when you buy a Yield Lab HID grow light, there is a higher percentage chance that you will get a defective unit. The good thing about this company, though, is that they stand behind their lights. And they’re just as good as other lights. If you get when that doesn’t work, they will replace it. It’ll take some time and you lose some valuable growing time, but you won’t lose your money. That’s why we like them. Yes we would prefer a higher quality light, like a Hydrofarm or a Sun System, etc., but why pay so much more, when you can get a great light for much cheaper. As long as you factor in the risk of losing some time, you’re much better off going with Yield Lab. So who are the people that run Yield Lab hydroponics? First of all, let me explain what exactly they are. They’re privately branded lights. The same people who make Yield Lab also make Advance Spectrum LED lights. They also sell various other lights as wholesalers, lights by famous companies. Not only lights, various other hydroponic supplies as well. But their main sellers are their own brands: Yield Lab and Advance Spectrum. Everything we said about the former above, goes for the latter as well. So, this hydroponics supplying company was founded by one guy who we will call Jay. It is based in Anaheim, California and ships all over the US. You can buy the lights on only a few websites. Amazon is probably the most convenient, but we prefer to buy from a site like Grow Light Central. We recommended them before on our blog, so for you regular readers, this name will sound familiar. They are a small company, but we love working with them, because their customer service is outstanding. They are always willing to help and if there is an issue with your light, which, as we mentioned above, is a distinct possibility when you buy a Yield Lab light, they are always available, ready and willing to make sure you get your replacement as soon as possible. What more can you ask for from a grow light supplier? 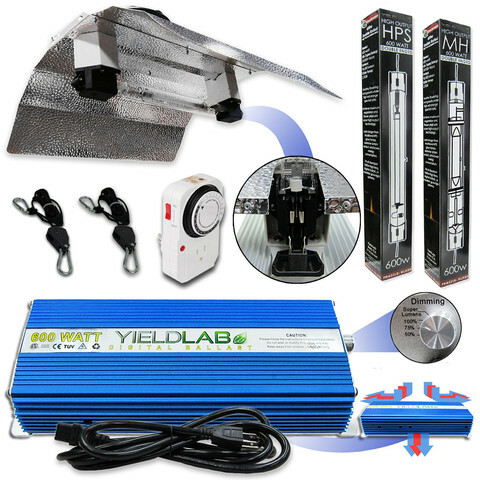 So, if you’re looking for a grow light system to get your indoor garden started, why not give Yield Lab a try? No, they’re not the most famous brand and they’re not the best brand, but we feel they offer the most value of all the brands out there. And if you want to go with LED, try Advance Spectrum. As mentioned above, everything we said about the one, is just as true for the other. Starting plants indoors for your own vegetable garden is one of the most satisfying improvements you can make. A lot of people are nowadays willing to start growing vegetables indoors because the vegetables that are available on the market do not taste the same as in the past. In addition, this is a very good hobby and pastime that brings in many different personal rewards. The problem is that many farmers believe that they are not going to be able to grow vegetables indoors. This is false, and the truth is that you can find tremendous results if you learn exactly what you need to do. One of the standard technique that is currently used for starting plants indoors is container gardening. You have to buy some bottles that are going to hold soil and accurately drain water. Almost all container types can be used if proper drainage is offered. What is crucial is to have the best possible soil. Also, you are going to need sunlight although growing lights can also be purchased. Most people will want to use natural sunlight. In this case growing vegetables indoors needs to be done in areas that have access to a lot of sunlight. In different cases, you have to move containers for those plants that need more light exposure to grow properly. The alternative is only to grow those vegetables that will have enough light in your home if grow lights are not to be purchased. However, if your budget allows it, you might want to seriously consider growing the vegetables indoors with the aid of horticultural lights. There are lights of different intensities, and they enable you to use any area of the home to grow your vegetables. One of the most important parts of growing vegetables indoors is information. You need to make sure that you know exactly all that you are doing. The soil has to be suitable for the plants that you are growing and the nutrients included have to be what the plant requires. The good news is that there are many people that you can talk to in order to learn this information. Gardeners are going to help you if you ask questions, and the internet can also be used for info. 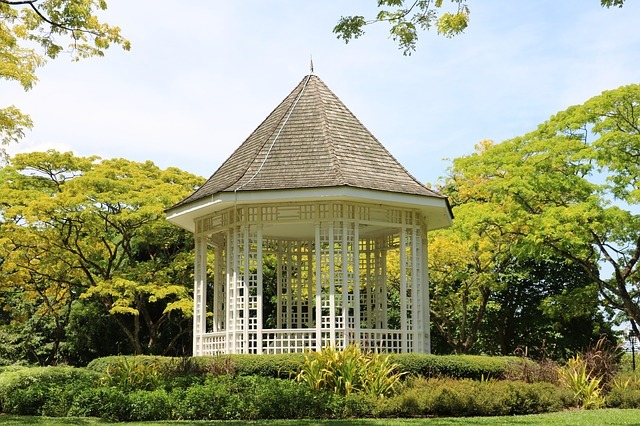 Keep in mind that whenever looking for information online, it is highly important that you only trust the big sites or articles that are written by gardeners that have a lot of experience. It is recommended that you start growing vegetables indoors by using containers and then try to opt for other technologies in the event that you notice that this is an activity that you like. The truth is that some are not going to enjoy growing vegetables because it is an activity that will necessitate a lot of time and attention. Make sure that you learn everything properly and that you end up doing every single step correctly. 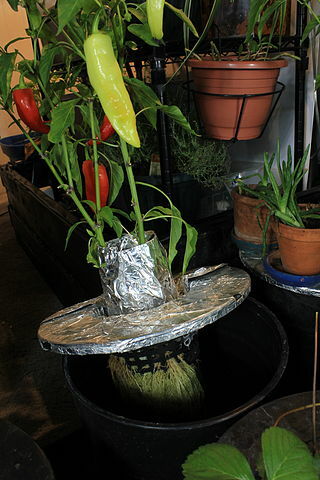 This is the only way to grow vegetables and enjoy it at the same time. I’ve tried thousands of different teas in my life and have gotten to the point where nothing I try is really new. Sure, I might find a variety of tea grown in a region or a greenhouse or using a gardening technique that is new to me, but it’s still just the same old tea plant grown in the same old way apart from the one thing that’s different and, while it may taste slightly different than other varieties, it still tastes like tea. This all changed on a recent trip to Japan, though. On this trip, I spent some time in Ibaraki Prefecture, a mountainous area of central Japan. While there, I got to try a tea that was completely different from anything I tried before. Its taste wasn’t different. In fact, if I had tried it in a blind taste test comparing this tea to any other average tea, I wouldn’t have even known there was a difference. And that’s just what it was. It was average. It wasn’t terrible, but it wasn’t anything special either. Just your basic average green tea. So why was this tea completely new to me? It was because of the way it was grown. Of all the thousands of teas I’ve tried in my life, they all had one thing in common: they were grown outdoors or in greenhouse where they are still exposed to natural sunlight. 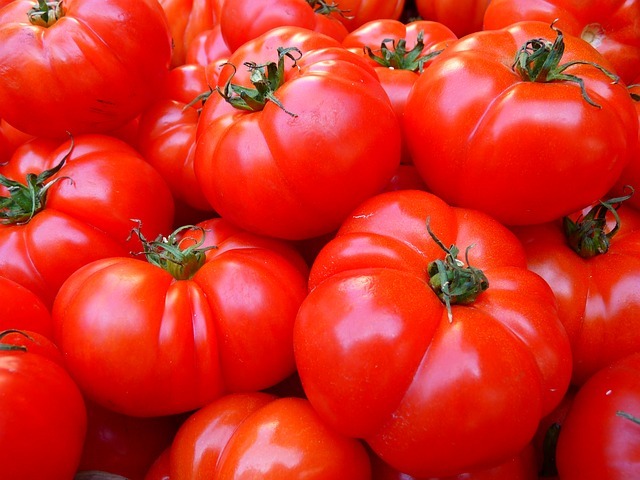 This new variety, however, was grown in an indoor garden. Not a greenhouse, mind you, but an indoor grow house, lit up entirely by artificial grow lights. It was a local farmer, who wanted to grow tea, but couldn’t on his farm because of the climate in the area. It simply isn’t conducive to growing tea. That’s when he decided to move his grow operation indoors. He’d read about people growing all kinds of other plants indoors and he figured: why not tea as well? He had a spare bedroom in his house and while it had a small window, it wasn’t enough to provide the tea plants with all the PAR and lumen they needed to grow. He ended up just boarding up the window and going completely with artificial lighting anyway. He got a bunch of boxes and filled them with soil and planted tea shoots in them. Then he had to find the appropriate lighting. Like many growers, he started out with an HID (that stands for high intensity discharge) lighting system. HID lights have been used for decades to grow plants indoors and they are very effective. If you use a combination of metal halide (MH) bulbs and high pressure sodium (HPS) bulbs, you can take plants through the whole grow cycle. The MH bulbs are high in blue-spectrum light and work well for the vegging stage of growth, while the HPS bulbs are high in red-spectrum light and are perfect for flowering. The main drawback of such a system is a higher electricity cost. It uses a lot of power to run. Additionally, the system creates a lot of heat and you need to use more power to keep your grow room cool. 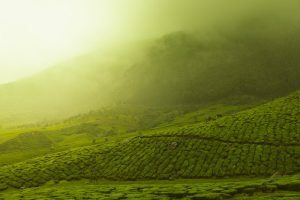 Tea generally prefers to grow in slightly cooler, but still humid climates. It can grow in very hot climates too, though. As such, the cooling requirements for tea aren’t quite as strict as they would be for other plants, but you still have to spend a lot of money. They do make reflectors that contain the light inside a ventilated glass tube, which keeps most of the heat from escaping. This air cooled hood reflector kit the Japanese farmer used was one such fixture. It’s a lot cheaper to operated than standard fixtures, but the power costs are still pretty high. Then there are the bulbs. HID bulbs simply don’t last that long. On average they last about 10,000 hours. This means you have to replace them quite often, which also gets costly. 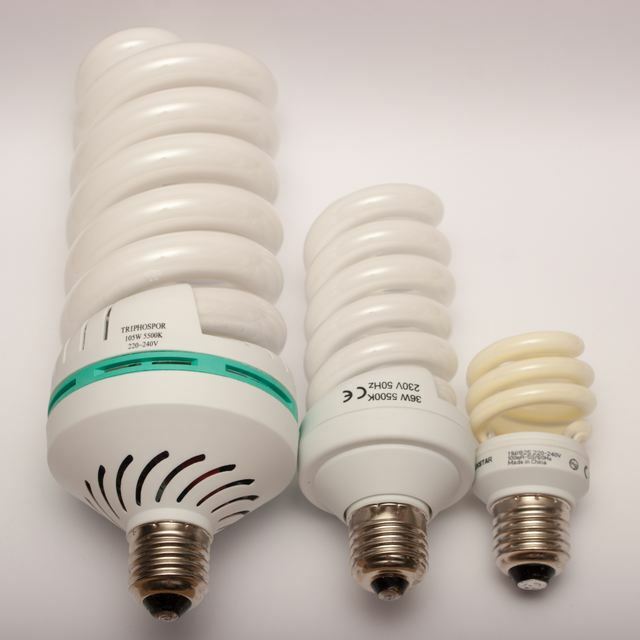 Furthermore, MH bulbs contain mercury, which causes harm to the environment when it comes time to dispose of spent bulbs. Because of all these drawbacks, this farmer decided to turn to a new technology. He decided to use LED grow lights. He had no experience with them, but he did a lot of reading and liked what he saw. They run much cooler, they cost much less to operate in terms of electricity, and if you buy a good one, it will give you the perfect spectrum for growing plants. It will give your plants so much more nutritious light than an HID system does. The main drawback is price. A good LED grow light is very expensive. And if you buy a bad one it will actually cost you more, because you will lose a lot due to bad harvests. Our farmer ended up going with a light made by Kind LED. They one of the top LED grow light manufacturers and the lights have been proven to grow plants effectively. After a few grows, he started seeing great results with these lights. He was getting wonderful tea bushes and beautiful leaves and as I can attest, the resulting tea tasted pretty good. Now, he still has a ways to go before this tea becomes world-famous, but what he has done is a start. The Kind LED K5 XL750 grow light. This is what he used. He is shown that you can grow tea anywhere these days, not just in the famous tea growing areas. For now, he is only growing this tea as a hobby but I imagine someday he will be looking to sell his tea commercially. So keep your eyes open and maybe someday you can buy a batch of this amazing new tea. A tea grown indoors. 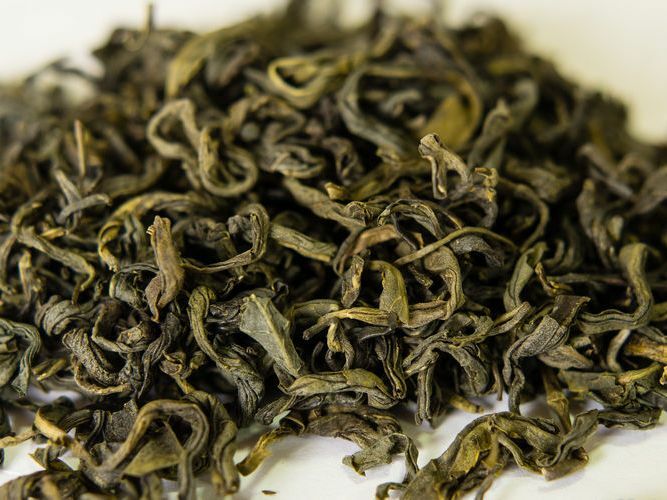 A tea that could eventually revolutionize the industry. Quick, what gets your day started every morning? I’m guessing most of you answered either coffee or tea (tea for me). I recently got a question from a reader about growing their own tea at home. I had never even considered the possibility, but after some research, I learned about a Japanese farmer who was actually growing tea indoors and decided to give it a try myself. I read about this Japanese tea farmer in an article in a Japanese paper. Basically, due to poor growing conditions where he was living (for tea anyway), he decided to move his tea plantation indoors into a greenhouse. He was actually using LED grow lights to grow, but I began by using a combination of MH grow lights and HPS grow lights. I supplemented them with some florescent grow bulbs. This setup worked really well to grow the tea, but I didn’t really know what I was doing so the resulting harvest wasn’t the greatest quality. I tried another grow and switched to LED plant lights. They worked better, but, to be honest, standard HID lighting systems are fine for tea, since it doesn’t have as high a sensitivity to heat as many other plants. So tea can be grown indoors, but coffee can’t. Or can it? Can you grow coffee using HID grow lights or LED grow lights, like you can tea? That’s what we’re going to explore now. To answer this question, I tried to same setup for coffee. Have you ever heard of anyone growing coffee indoors? That’s a real question, actually. I really want to know. I want to claim that I’m the first, but I can’t be certain of that, so if you’ve ever heard of anyone using indoor lighting systems to grow coffee, let me know. Anyway, I bought some standard Colombian coffee beans and put them in some pots. I placed these inside a standard grow tent and used LED grow lights that I hung from support beams of the tent using a ratchet hanger. I actually used two different LED systems. The first one I used was by NextLight, specifically their Mega. These are excellent and you’ve heard me talk about them before. I’ve used these a lot. They provide 12 different spectra of light and are fully programmable. They give you all of the bandwidths that plants need to grow, nothing more and nothing less. I also tried using Pro Max Grow’s largest light fixture, the MAX 1200. This thing is the equivalent of a 1000 watt HID system, but only needs 250 watts of power to run. It also produces so little heat that it doesn’t even need any cooling fans. It’s quite a remarkable light, but not many people know about it, for some reason. 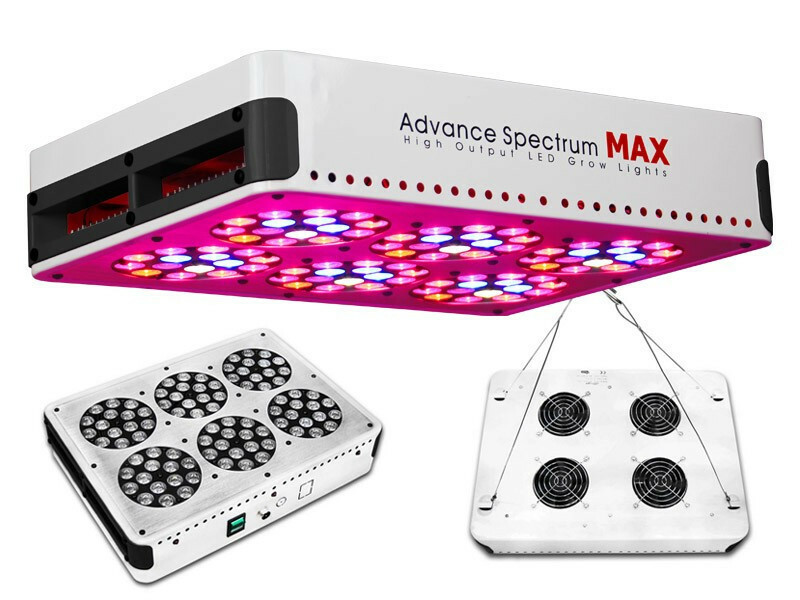 Pro Max Grow LED lights only use white spectrum LED diodes. I’m sure you’re aware of the raging debate about which is better, white or multi-colored diodes, and that is why I used both lighting systems. I wanted to see for myself. The theory is that using multiple colored bandwidths is more efficient, since you can limit the light to only the bandwidths plants require to grow and leave out the ones they don’t, like light in the green spectrum. White light on the other hand, contains those bandwidths and thus has some wasted energy. The other side of the argument says that white light is much closer to natural sunlight and therefore is better, despite the “wasted” spectra. They say that plants do use that light, just maybe not as obviously. It makes them feel more comfortable and more natural, so they grow better, even if they don’t use those bandwidths specifically to grow. The results of my little experiment are as yet inconclusive. Both lights have grown my coffee plants pretty well, but the real test, as we all know, is the flowering stage. Can these LED grow light systems encourage my coffee plants to produce a bountiful harvest? That is what I hope to answer soon. As to which of the two systems, the multi-spectrum system from kind LED or the white LED system from Pro Max Grow, produces the better results, I honestly can’t say. They both did really well and I believe they outshone any HID system. Either one of these lights are pretty amazing for growing coffee and they were amazing for growing tea as wel. I’m sure many of you know they are amazing for other types of plants, we won’t say which ones, since not everyone lives in certain states where certain plants can legally be grown, as well. Now I’ll turn it over to you guys. Have you ever grown anything without the help of natural sunlight? If so, which grow light system did you use: fluorescent lighting, HID lighting (and if so, did you use high-pressure sodium bulbs or metal halide bulbs or a combination of both) or did you try your hand at LED plant lighting? Whichever one you tried, what were your results? Also, do you have any specific recommendations or tips for the rest of us? I’ve done a bit of growing indoors myself, but I’m far from a real expert and there is so much more to learn. I would definitely appreciate any advice you guys have for me and I will also be happy to answer any questions you have about indoor grow lighting or just growing indoors in general. Feel free to ask me anything! Supplemental UV Plant Lighting – Is It Worth It? We’ve been writing a lot of articles on plant grow lights recently. One of them main questions we get asked all the time when it comes to indoor lighting concerns ultraviolet lights. There is so much information out there about UV bulbs that it is difficult to know what the truth is and what is just a rumor or guesswork. With this post, I hope to clear up some of the confusion surrounding supplemental ultraviolet light for your plants. First, I want to clarify that there are actually two types of ultraviolet bulbs. There is UVA and UVB light and every bulb or tube gives off one of the other. 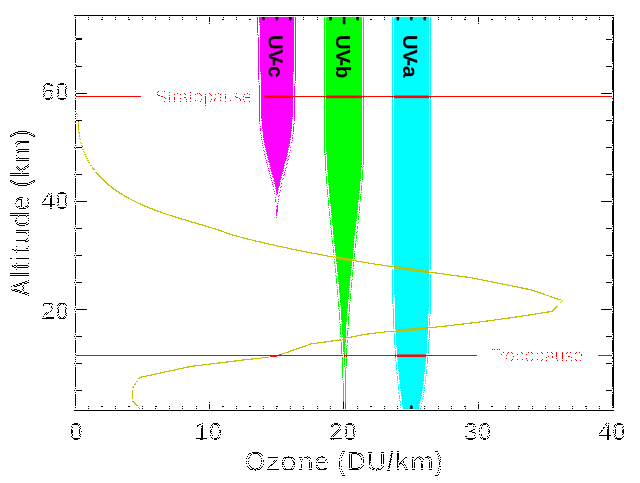 UVA light has longer light rays and UVB light has shorter light rays. When it comes to humans, UVB light is the one that will give us sunburn and can cause skin cancer. The other one, UVA is generally blocked by glass, but doesn’t really harm us anyway. In terms of plant growth, you’ve probably seen quotes from the recent study that showed that UVB light increases yields and especially resin production in cannabis plants. But this is a bit misleading. They tested plants with no exposure to any UV light against plants with exposure to UVB light. They did not actually test UVA light. So all they found was that exposure to UVB light increases yields as opposed to no exposure to any UV light at all. Other studies have shown that UVA light has a similar effect on yields and resin production. Basically, the conclusion we can draw from this is that both UVA and UVB rays will help your plants grow more flowers and will increase the resin production, making the flowers they grow more potent. I mentioned above that UVB light is harmful to human skin. Well, it is also harmful to plant cells. Too much prolonged exposure to UVB rays will damage the plants. One theory is that this is what leads to the increase in resin production. The plants produce it to protect themselves from the harmful rays. Of course, given that we’ve established that UVA light also leads to an increase in resin production, this theory would not seem to hold water. Unless, of course, the other theory that only UVB light helps resin production is the correct one. Do you see what I’m saying? It’s confusing. So many studies and so many different results. And none of the studies are really all that scientific or that far-reaching. A lot more research is needed into the matter. So my advice for growers: get a light that includes both UVA and UVB rays. I’d only use UV light toward the end of the blooming stage and limit exposure to a few hours a day. 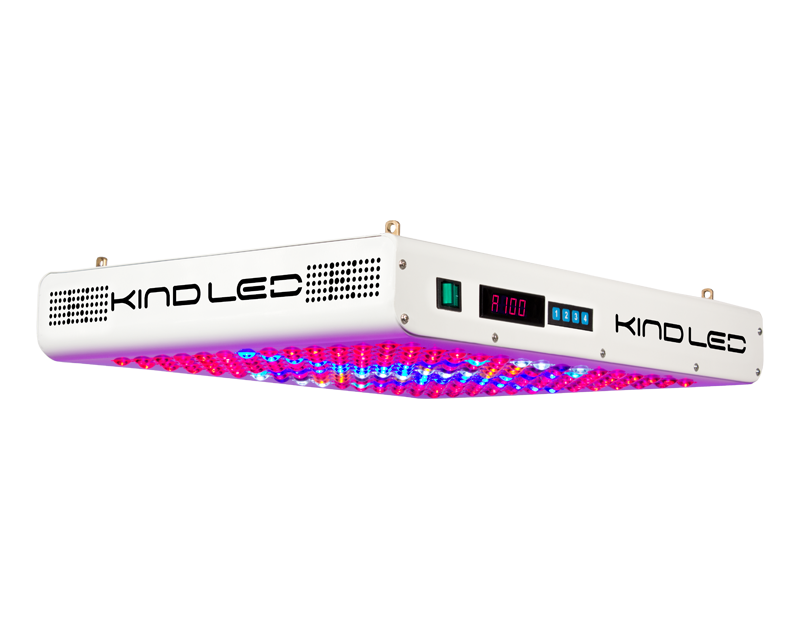 Many of the top LED grow light companies, like Kind LED and California Light Works include UV light in their fixtures. Kind includes LED diodes that give off both UVA and UVB rays, while California Light Works has fluorescent UVB tubes. They do not include UVA and clearly subscribe to the study that stated only UVB light is helpful. Black dog LED does the exact opposite. They include only UVA light and no UVB. Obviously, they are following a different study. Again, this is why I would go with a light includes both. Until more research is done, we simply can’t know which of the two types of UV light is the most beneficial to plants. That’s why we use Kind LED lights; specifically, we love the Kind K5 XL 1000. It includes both UVA and UVB light as well as infrared light. Overall it has a full 12 band spectrum that also includes some white light. The spectrum on the light is completely customizable, so you could tailor it for whatever plant you are growing and whatever grow cycle you are in. You can also tailor it for the growing environment, so you’d use different settings depending on whether you are growing in a tent, in a greenhouse, or in a different type of grow space. Another option is to just get a regular LED light that doesn’t include UV bulbs and then get some UV fluorescent tubes to supplement your light. This way you can even run your own experiment. You can get some UVA tubes and some UVB tubes and test only one type of UV light during a grow. So you could do one grow with using UVA light towards the end of the blooming cycle and another grow using only UVB and then compare the results. Then you could do a third grow with both types running at the same time. It would take you three grows, but you would have a much clearer picture of which UV light is the best or if, as I am suggesting, it is best to just go ahead and use both. I’m not sure why this is such a hard concept for researchers to grasp and why they have not been able to do this yet, but it seems like it would be easier, right? If you don’t have the money to spend on a Kind LED grow light or similar unti that includes ultraviolet light in its spectrum, I’d suggest going the supplemental route route. 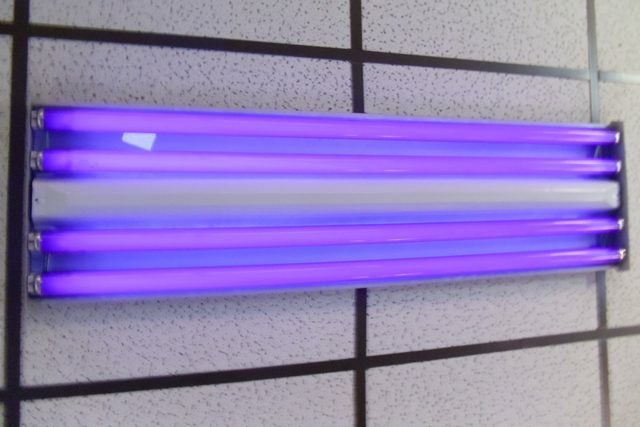 Just get some florescent UV grow tubes and use them as supplemental lighting for your HPS plant lighting or your LED fixture. Hook those UV tubes up when there are about two weeks left in the blooming cycle and you should enjoy increased yields and a much more potent harvest. Happy growing! Here’s some additional reading on UV light and its effect on plant growth.